Welcome to Design Oriented. We started in the summer of 2015 with a blog aimed to provide high quality game design analysis and criticism. We quickly realized that adding one more blog to the ocean that is games criticism wasn’t an effective way to improve the quality of conversation overall or help us connect to each other. So we spent the last half year developing Design Oriented Search: A new way to explore games and the conversation about games. The search is now our home page. On a full screen desktop, the default view features two columns. One is for the Catalog Critique, and the other is for the Game Breakdown database. On mobile only one column can be viewed at a time. The Catalog Critique (CC) is a collection of articles, videos, podcasts, conference talks, etc. from around the Internet. If someone publically posts about video games, particularly about their design and their effectiveness as an art form, it belongs in the CC. There are many different view points and voices out there when It comes to game criticism & conversation. Whatever your interest, the DO Search is designed with over 25 unique tags and labels to ensure you can search for exactly what you want. What’s more interesting is that we can simultaneously show you results for near to your interest. Results you would never have considered searching for directly. Anytime you search you can tab over to the timeline. This is an important feature that we haven’t seen on any other search engine. Instead of thumbing through page after page of results, the timeline creates a map of the results. The vertical axis is word count and the horizontal axis is date published. Each dot is color coded by game topic. You can even mouse over or click on a dot to zip to that result page. The Game Breakdown (GB) is a repository of game bits. No opinions. No analysis. Just the facts. As the GB grows you will be able to find handy information about a game’s design or jump endlessly between games by topic, genre, or keyword. Have fun, and send us your feedback. Thanks to Marcus T. Mike A., Chris S., Willy A., S. Johnathan, for building it with me. Special thanks to Golem Greg for doing all the web magic. Since July we have been hard at work on Design Oriented 2.0. It’s a re-launch for the site that aims to do something amazing for games criticism overall. We plan on launching in Q1 2016. If you’re reading this now, that means you’ve supported us up to this point. We want to say thanks. If you’re curious about Design Oriented 2.0 (DO.2, D2.0, DO2, 2.DO?) feel free to reach out to us. We’d love to have a chat, show you a few things, and get feedback on the new site. Mike says: I’ve been playing Abyss Odyssey recently. It has a mechanic where when you have full mana you can use a special attack to capture the soul of an enemy once it dies. You can also gets monster souls by buying them from shops, but shop selection tends to be pretty limited compared to what you see in the dungeon. You can only have one soul equipped at a time, and you can press a button to transform into the monster whose soul you captured. Pressing the button again transforms you back into your actual character. You can’t gain mana while you’re in the soul-form, but it does give you another character worth of HP. 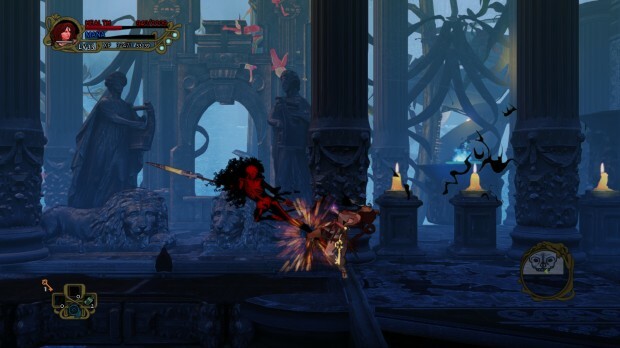 Since Abyss Odyssey has permadeath-lite, having that extra health bar can significantly improve your chances of beating the game. When you lose all you HP as the monster, you lose its soul and have to somehow collect another one. Once you’re transformed into an enemy you can use all of their moves–all of the enemies in the game have the same number of moves mapped to the same inputs as the player’s character, so it’s like having a whole new character to master. This adds a whole new dimension to gameplay and offers the player a lot of new movesets to master and experiment with. I know another example of this kind of a mechanic will immediately pop into Richard’s head, since he’s the KirbyKid. What’s your thought on Kirby’s similar mechanics in the Smash Bros. series or in Kirby’s own games? Richard says: I have no idea what you’re talking about, Mike. Just kidding. As you described the “what’s yours is mine” scenario has two parts: capturing the target and then transforming. If there’s one character that is all about these mechanics it’s Kirby. Each Kirby game does it a bit differently. In the earlier games, Kirby would only take a single mechanic or power from his enemies. But from Kirby Super Star, Kirby gains access to a wide range of moves to use that range from simple inputs like the press of a button to directional commands that mimic fighting games like Street Fighter (see example here). Some of these powers and transformations are so complex, that I feel that I could play the entire game with those powers only! Smash does it a bit differently. Here Kirby only replaces his neutral B attack inhale with the neutral B attack of the player he captures. So while these Smash transformations only replace one out of roughly 30 moves that Kirby has, one move may be enough to allow Kirby to take on a new playstyle. Mike says: Dynasty Warriors 8 also has multiple movesets that the player can choose between on the fly in battle. It’s done by weapon. You can equip two weapons at any one time, and press a button to switch between weapons. 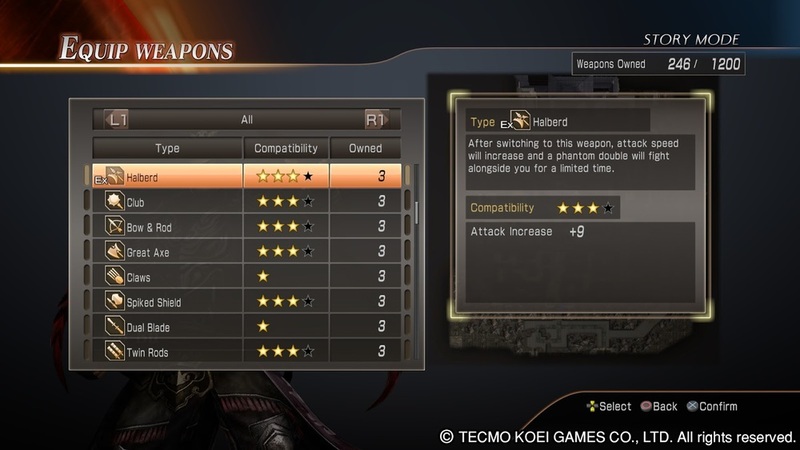 Weapons level up and are upgraded separately based on use. Enemy officers pull from the same overarching set of weapons that you do, so you can learn the movesets of various weapons and use your knowledge to your advantage against enemies by exploiting timing gaps in their attack patterns that you’ve learned from using the weapon yourself. Richard says: I love it when enemies are designed with the same kind of rules and limitations as the player. The classic style 2D Mega Man games are pretty good at giving Mega Man the powers defeated bosses use. Michael Lowell says that RTSes should start players with armies and bases roughly equivalent to mid-game progression in current RTSes, because the early game is boring and predictable. Mike says: The early-game in RTSes is often rote. It’s a good area to analyze and suggest improvements, but without examining your assumptions about the genre it’s hard to make conclusions that will hold up. 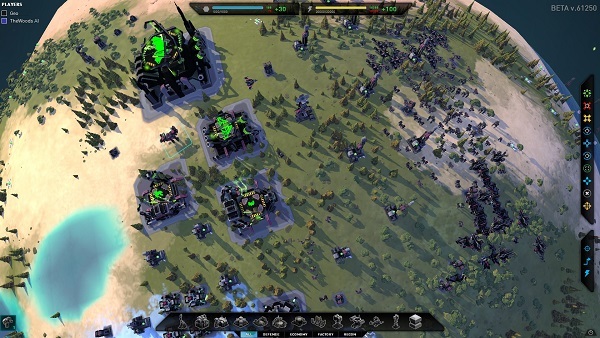 Michael’s article focuses on base-building “massive” RTSes like Starcraft and Planetary Annihilation without articulating the design patterns particular to these games that cause the slow start. He also doesn’t examine what value the slow start may have for the play experience: for instance, he doesn’t mention the value of having a period in which players can essentially warm up their hands for the upcoming segments of play that require high micro. Michael’s suggestion to simply start players with early-mid-game amounts of units and buildings is probably the easiest solution to think of, but has many knock-on effects that Michael doesn’t seem to even consider. For instance, the micro burden on players at the very start of the game will become significantly higher than most other points in the game, because they have to as-quickly-as-possible give orders to potentially fifty units and several production buildings. Seconds lost here mean fewer units for climactic battles which may happen as early as a couple minutes after the match begins, since we’ve totally skipped the early-game. The largely unopposed nature of the early game leads to several minutes of less-interesting play, but this play sets up for all the variety that Michael so values in the mid-game, and without a span of time to make these preparatory decisions, some foundational design aspects that Michael doesn’t touch on will shift, perhaps profoundly. Unit and building tuning will need to be adjusted and rebalanced now that a whole breed of rush strategies no longer exist. Michael’s suggested change is brash and potentially requires significant additional design work. It’s far from a quick fix. And what about games that follow different design patterns than these “classic” RTSes? Michael fails to address the successful approach of “non-massive” RTSes to this problem, most notably Company of Heroes and Dawn of War 2, which are micro-focused affairs where first contact with enemy units happens within the opening two minutes of the match. Certain build orders in these games are common, but the fluidity of the ongoing battle and growing tension over sorely-needed resources ripe for the taking ensures that the early-game is far from an exercise in boring build order execution. The commentary audio didn’t record correctly. Fortunately our notes are down below. Inversus Mechanics directional face buttons FIRE Tap the x button to fire left. Tap the B button to fire right. etc.If the player has a red bullet, it takes priority and is fired before white bullets. Inversus Mechanics charge CHARGE Hold a fire button to charge your shot. Movement is slowed only when the carge is nearly complete. Normal movement is 1.67 faster than slow charge movement. Aprox 1 second to charge. A charge shot fire 3 bullets in 3 consecutive lanes. A charge shot only consumes 1 bullet. Super Monkey Ball 2 Mechanics charge Hold B to charge. Charging slows down player movement and rotation speed. Players must pick a direction to charge because of the control scheme. This direction cannot be changed. Inversus Systems / Rules screen wrap Screen Wrap Move to the edge of a screen and appear on the opposite side. Not univerisal feature on all levels. Inversus Feedback CHARGE When charging, the ammo count inside the character spins, and then locks into place hilighting the bullet that will be shot next (red or white). The highlighted piece of ammo also shows which direction the player is commited to. Inversus Power-Up / Upgrade / Economy Red Bullet Collect the red bullet and fire a fast shot. Fast shots have normal stamina and can be clashed with other bullets. Players can collect more than 1 red bullet. Collected red bullets override a white bullet if the player’s ammo is full. 2.25 times faster than white bullet. Inversus Level Elements clash Red Bullet spawn Respawn with a red bullet every 12 seconds. When there’s a red bullet up for grabs, shooting the square will the opposite color will clash and cancel the power-up and reset the timer. Inversus Systems / Rules ammo, regenerating Bullet Respawn timing After shooting all of one’s bullets, they respawn at these second intervals. 2.65 – 1.91 – 0.63 – 0.48 – 0.31 . Also, shooting a bullet does not reset the first interval to 0 seconds. Epona style. Inversus Mechanics clash Bullets collide with bullets and cancel each other out. Inversus Level Elements Gray wall A solid object that cannot change polarity. Cancels bullets on contact. Inversus Mechanics analog stick Move The movement is analog. Can “creep” very slowly or go full speed. Reblog: Are You Designing Mystery Or Suspense? Filip Wiltgren says viable games have elements of mystery and suspense. “To paraphrase Alfred Hitchcock: mystery is when you don’t know if there’s a bomb under the table, suspense is when you lift the tablecloth and see it but can’t leave the table.” Mystery is about what the rules can do. Suspense is about if you can achieve a goal given the rules. Marcus Says: Zelda’s curated semi-linear world is under fire from “fans” of the series who say that Zelda is no longer a mystery now that the game’s general structure is “known”. 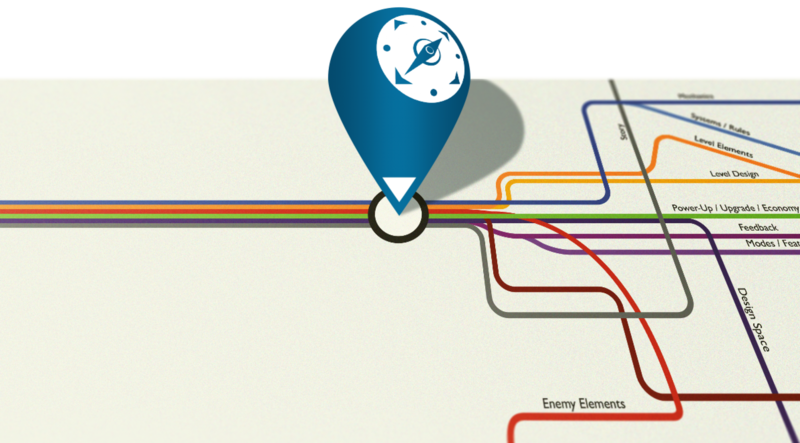 Yes, the general outline of the hero’s journey is mostly the same throughout the games, but whether or not the bomb is under the table is still a question that needs to be answered at the start of every game. Mike says: Filip is right in pointing out that great gameplay generates suspense. That thrill of executing a plan is the pay-off for the uncertainty and feeling of being on edge as you play out a match in a competitive game. Game designs need to do a good job of managing how uncertainty is generated and manipulated in and by the player. Not knowing the result of play is often what makes games worth playing. Filip distinguishes further between rules-related uncertainty caused by a lack of basic knowledge about what’s possible in a game, and execution-related uncertainty. I’m left somewhat unsatisfied by Filip establishing this dichotomy between becoming competent with a game’s rules and pulling off strategies–the two are certainly interdependent, but the dichotomy compares processes operating at different scales and this damages the comparison. “Knowing when to apply mystery and when to apply suspense makes a game viable in the long run.” All this statement says is having a balance in a game gives it more lastability. It doesn’t talk about what kind of balance or which game elements are in the balancing equation. Mystery doesn’t make a game solvable because “mystery” isn’t a game design element. “The interesting part in a mystery heavy game is the puzzle, not the execution.” Translation: The interesting part about figuring out something is figuring it out. “Mystery is based on a lack of knowledge, suspense is based in unpredictability” “ You still need some mystery – if everyone figures out the optimal heuristic you’ll end up with tic-tack-toe.” Wasn’t “suspense” supposed to be the element of unpredictability? And we still don’t know what game design elements actually create suspense or mystery. Make a ritual out of it. How will you incorporate it into your daily schedule? Will you tie it to an existing activity? Will you treat it as a ritual or merely a routine? Will you add to the ritual, embellishing it in your own way, making it yours? Meditate, say a prayer, think back over what has happened while you have been playing? Will you approach it alone or share it with another? It’s a pilgrimage. It’s very simple, but it does have choice in it; even the smallest decisions have their consequences amplified when you can only move daily. My pilgrimage through Vesper.5 started on 8/8/14 after I downloaded the game on my work computer. I figured why not take my daily, in-game step at the office. So from the outset, instead of progressing 7 steps a week, I progressed 5 steps a week. In the beginning the replay of my past steps was very short. So I made a habit of booting the game while I took off my coat and rearranged my seat. A few weeks later, the length of the unskippable replay became too long and too conspicuous to run full screen as lawyers and department heads frequently walked past my desk. So my routine moved from morning, to my lunch break, and finally to the end of the day. When I gave my two weeks notice, I looked at how far I had made it through the labyrinth of Vesper.5 and came to the conclusion that I needed to head straight for the finish to complete my journey in time. 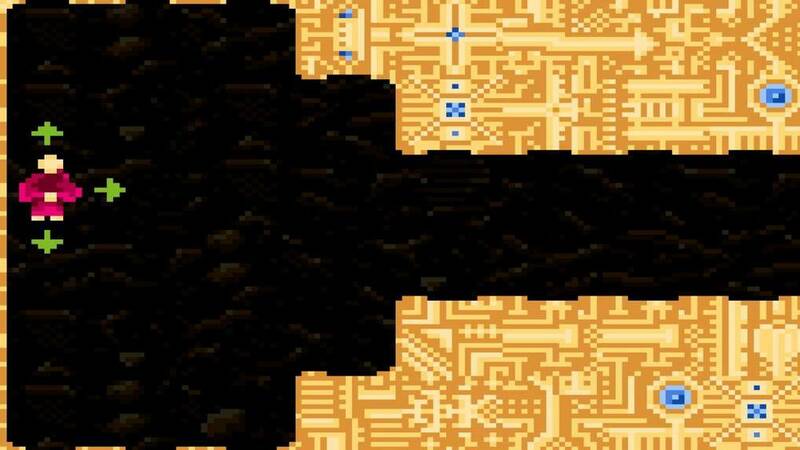 Before this point, I had freely explored every plant and odd looking artifact I came across despite it literally taking days to satisfy every curiosity. I figured I had unlimited time to explore the world of Vesper.5, a zen-like attitude I developed after 3.5 years of relentless deskwork where the only thing consistent in my work day was an inbox full of problems. 105 steps after starting, I had completed everything I set out to do in the alien world of Vesper.5 and the corporate world of an international law firm. I started my pilgrimage on 8/8/14 and I finally reached the end on 3/27/15, mere days before I left my job entirely to launch Design Oriented. Vesper.5 is an interesting idea, but the novelty of its gimmick quickly wore thin on me. The much-vaunted ritual theme isn’t quite in the game. Though the step by step progress reflects a pilgrimage and the time that passes between steps encourages the player to make a habit of checking in with the game daily, the lack of narrative context or background information about the monk player character left me guessing at every turn rather than wondering about the context, history, and possible connections. Repetition, and forced repetition at that, is not enough to make a task into a meaningful ritual. In terms of gameplay, there isn’t much to engage with. There’s a lot of walking and sightseeing but no real threat and no challenge. Without some kind of challenge to it, the experience lacked a powerful way to engage me. But gameplay challenges aren’t the whole of engagement and are certainly not necessary to make a great interactive experience. Simply exploring a world and piecing together details can be effective. I went out of my way to examine a mini colony of pink, pixelated, sea monkeys hanging out on a foreign plant on my pilgrimage. What did my choice mean? What did I gain? Well, I saw some slightly different graphics that cost me a few extra days to reach and return. That’s it. The game provides nothing else to consider. 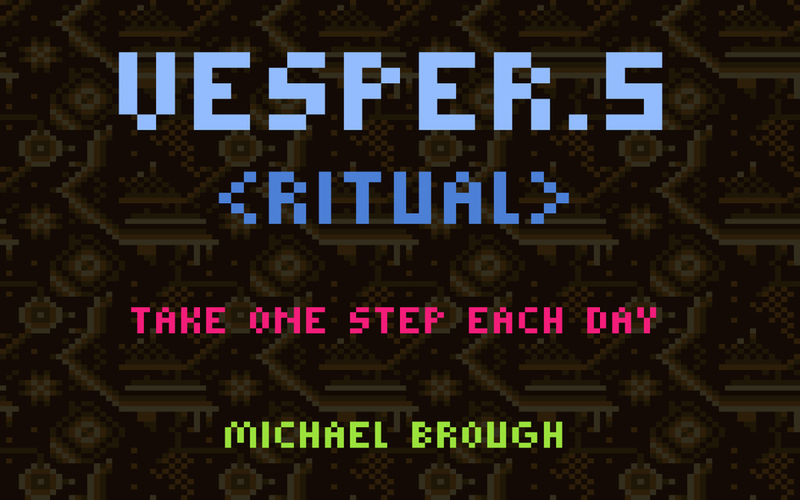 Every step of the way in Vesper.5 is like this; a quiet, reflective, almost nothingness. In reflection, this near-nothingness is near-laughable: I spent months browsing a handful of seemingly unrelated pixelated images. If you want to take your time and explore everything, do so. The only real pressure comes from whether you’re the kind of person who will quit before seeing the end of the pilgrimage. 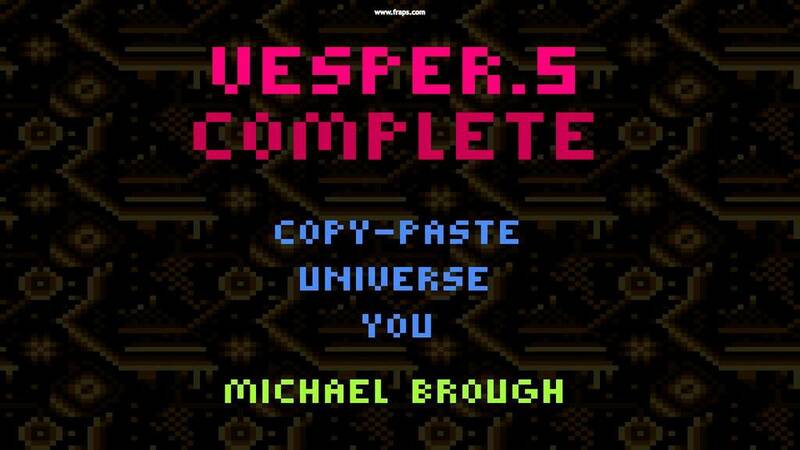 Without a more engaging complex system to build rituals around, Vesper.5 was merely a test of my patience. Vesper.5 does no more to invite musings than any other game, or even the events you may meet with in your daily life. There are no fragments of text or bits of poems scattered across your journey to invite you into self-examination. Though every step costs a day of movement, the experience didn’t add up to anything. If being forced to make progress in small increments is what invites existential musings, then games like Animal Crossing, Giga Pets, or the Nintendo 3DS Street Pass games should receive similar praise for philosophical depth. Mike says: Twin Souls is a game about flitting from shadow to shadow and massacring guards who stand (literally–few patrolling guards were in evidence) in your way. Sound effects of the player’s snake-and-dragon-themed special abilities are low-pitched and loud, which confuses me because why would a stealthy guy use such noisy ways of dispatching his opponents? Seems like it would alert everyone nearby. The abilities themselves seem visually distinct, but serve the same purpose: kill a guard and prevent him from running away in the process while the player is in the safety of the shadows. It appears the player can make shadows at will by pointing at the ground nearby and pressing a button. This seems like it compromises the dynamic nature of the leaping-between-shadows mechanic by letting the player start their leap from just about anywhere. The shadow-paint also seems to conceal the player from enemies–that’s a pretty cheap way of bypassing having to use space and a limited but powerful movement ability intelligently to dodge around enemies and maintain stealth. Marcus says: That was an interesting collection of mechanics. Delivered as elevator pitch Twin Souls is “Metal Gear Solid meets Splatoon where you paint shadows to sneak through,” sounds like the basis for an interesting game. Stealth, however, is a tricky genre that is defined more by entropy being constant instead of a rise and fall in action found in a typical game. Play a perfect run through a stealth game and it almost looks like that guards arent even doing their jobs. When you’re trying to sell the viewer a game about being inconspicuous, the tension from the threat of being found out must always communicated. In this video, Twin Souls failed to show any sign that the guards could catch, notice, or perceive our Ninja protagonist. What played out felt closer to a god mode playthrough than a stealth mission. Richard says: I agree with you, Mike. It seems that being able to shoot shadows anywhere at any time works against the level design balance between enemies, environment, and the natural shadows. But, this video is very early. So I wouldn’t say that there really is any level design yet. It’s a little disappointing that the “from stealth” takedowns are cutscene animations that freeze the rest of the game world. I would like to see more dynamics involved in the core mechanics.